This 1-day certification workshop in the OpenSpace Agility™ method is taught by the formulator of the framework, Daniel Mezick. It’s a full-immersion experiential course for those who are seeking a rapid & lasting Agile adoption. Learn the concepts and facilities of the OpenSpace Agility framework, such that the student can assess the approach and begin using it to achieve rapid & lasting change in their organization. This workshop is planned for May 29 2017 in Stuttgart Germany, immediately preceding the SCRUM DAY conference event. By attending and successfully completing an OSA Workshop you earn the OSA certificate of completion. Learn more about the certificate here. This is a course on creating rapid and lasting change, across multiple teams, using the OpenSpace Agility framework as described in THE OPENSPACE AGILITY HANDBOOK which each student receives. The class includes ten experiential exercises, books from the instructor, and 30 days of support by email after the class. You do not need to be implementing “Agile software development” to get the most from this class. On the contrary: The OpenSpace Agility framework, with before/after Open Space events, is applicable in ANY organization considering ANY kind of process or culture-change initiative. Listing as an OSA pro, on the OpenSpaceAgility.com web site. See the listings here. Everyone who attends this course receives a certificate of completion which attests to the fact the student has successfully participated in the workshop. This course is a prerequisite that qualifies the student to attend more in-depth training in OpenSpace Agility and become certified as a practitioner if and when such a course becomes available. The handbook provides ABC, step-by-step guidance on how to execute an Agile Adoption using the OpenSpace Agility framework. This book is written by Daniel Mezick and includes a tutorial, reference guide, Frequently Asked Questions (the “FAQ”), forms and checklist, and some of the earliest OpenSpace Agility case studies. The book is a user’s manual on preparation, planning and execution of the OpenSpace Agility technique. Everyone who earns the certificate of completion is listed on the OSA website as an OSA professional and as holder of the OSA certificate. This listing makes it easy for organizations, clients, coaches and consultants to find you, learn about you and engage you in the work of OpenSpace Agility. Every student receives the certificate of completion, 30 days of support after the class by email. Those considering using OpenSpace Agility to implement an Agile adoption after the class can use this feature to ask questions, get answers, and receive specific guidance after the class. OSA is based on the social science and is a sociological approach to process change. Rather than being based on practices, OSA is based on sociological concepts. Most organizations have a substantial amount of energy just under the surface which is available for engagement in the work. The OpenSpace Agility framework makes this energy available. OpenSpace Agility has foundations based in game mechanics and cultural anthropology. This section of the course explains this solid foundation. 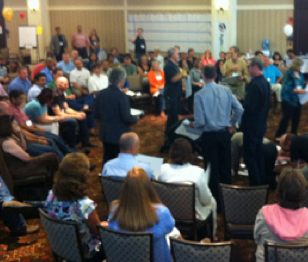 OpenSpace Agility is a complete system for implementing a process change (such as Agile) in your organization. It contains several elements which as explained in detail in this section of the course. Self-management can release tremendous amounts of readily available energy into the work. Open Space is a self-managed meeting format that sets the stage for the process change which the people themselves will implement. Self-management is self-organization and self-organization leads to HIGH PERFORMANCE. This section explains these concepts and sets the stage for a rapid and lasting implementation. There are many ways to stumble when introducing process change into your organization. OpenSpace Agility is one way to introduce process change. Following the steps, knowing what to watch for, and making adjustments is essential. These case studies show what can happen and provide a narrative context for understanding the dynamics of the OpenSpace Agility framework. This segment of the course summarizes the lessons learned from experience implementing OpenSpace Agility across a wide range of organizations. The toolkit provides everything needed to bring the dynamics of a rapid & lasting process change. There is substantial work in preparation, implementation and inspection/adjustment. The entire process is best divided into 3 segments: pre-execution, execution, and post-execution. A major activity throughout the process is the ongoing education of executive leadership. The consultant or coach must attend to leaders throughout the process to be successful with the OSA framework. As a consultant or an executive, you exit this class with tools that provide you with guidance and structure as you move through the process as a Sponsor or Facilitator/Coach. Everything you need is here. Tool #2: Understanding the Client’s Situation: New adoption, or Troubled Adoption? A successful OpenSpace Agility process continues after the consultant leaves. This continuation is manifested as the installation of 2 cultural holidays on the organization’s annual calendar. This section of the course explains the advantages, concepts and practical steps in getting this done. Many Agile adoptions are troubled because they were implemented as well-intentioned yet misguided “mandates of process change”. In this part of the class you will learn how to use the OpenSpace Agility framework to help bring health and wellness into the picture, by raising levels of engagement. 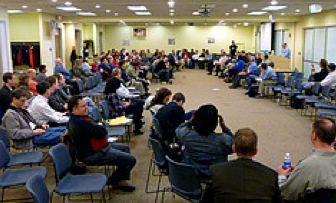 As an executive or consultant, you must understand the basics of the Open Space meeting format and process. 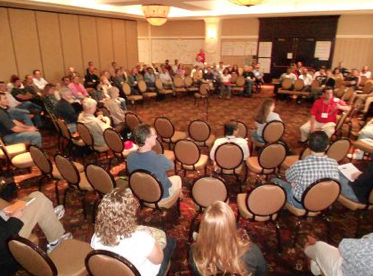 Open Space is a process, and the meeting is a major element. In this part of the class you gain a deeper understanding of the concepts and facilities of Open Space. This is the end of the class: a time to reflect on the experience, offer feedback on the course, and prepare for what’s next in your organization. What are you leaving with? NOTE: Everyone who attends this course receives a certificate of completion which attests to the fact the student has successfully participated in the workshop. This course is a prerequisite that qualifies the student to attend more in-depth training in OpenSpace Agility and become certified as a practitioner.